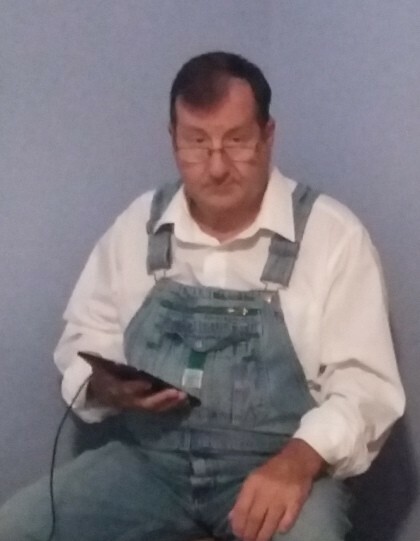 Bruce Allen Baird, age 64 of Robbins, TN passed away on Sunday, December 2, 2018 at the Big South Fork Medical Center in Oneida, TN. Born in Pine Knot, KY on August 1, 1954, he was the son of the late George and Beulah Neal Baird. He is survived by his wife, Louise Baird of Robbins; children: Michelle Durham Nicholas and husband Vernon Nicholas and their children, Baby Josh, Jessica, Amy and Olivia, Scott Baird and wife Amanda Dugas Baird and their children Robbie, Gavin, Noah and Ethan, J.R. Risden (Jenny) and husband Troy Risden and their children Peyton, Aden and Mason, Abigail Smiddy Juarez and husband Cesar Juarez and their children Natalie and Carter; 4 step-children: Larry Michael Brewster and fiancée Sherry of Oak Ridge, Jamie Brewster and wife Donna of Lake City, Jeremy Brewster and wife Angie of Wartburg and Richard Brewster and wife Leisa of Jamestown; 10 other grandchildren; 8 great grandchildren; and special sister Josephine Bowling. Bruce has three living brothers, Bryan Baird and wife Sandra, George Baird, Jr., all of Pine Knot, KY and Robert Davidson of Ohio and five sisters, Lana Meadows and husband Gary, Sheila Dople and husband Herman, both from Pine Knot, KY, Shirley Myers of Indianapolis, IN, Barbara Hill and husband and Debbie Gibbs and husband, all from Ohio. Friends may visit with the Baird family on Friday, December 7, 2018 from 6 p.m. until time of funeral service at 8 p.m. in the chapel of West-Murley Funeral Home with Rev. Donald Douglas, Rev. Jamie Brewster and Rev. Clifford Slaven officiating. Music will be provided by Jamie Brewster, Clifford Slaven and Josephine Bowling. Burial will be on Saturday, December 8, 2018 at 11 a.m. in the Brewstertown Cemetery. Pallbearers will be: Jamie Brewster, Jeremy Brewster, Larry Brewster, Richard Brewster, Michael Brewster and Darrin Brewster. Honorary pallbearers will be: Jonathan Brewster and Anthony Cooper. West-Murley Funeral Home is serving the family of Bruce Allen Baird.